It's one of the most annoying possible tasks out there - a chore with limited value that gets undone every single night. 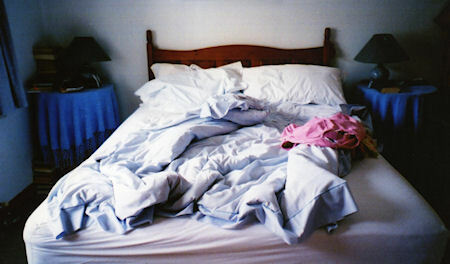 Unlike tying your shoes, making your bed doesn't protect you or significantly improve your life. Yet, for some reason, we as a society value this form of busywork way too freaking much. But it's better to leave your comforter lumped in a pile on top of your bed, just as disorganized as you left it the night before.